Zena is 15 years old and suffers from Spina Bifida and due to that she presents like a paraplegic, she is not able to walk, stand or do standing transfers . She is academically strong and super sporty. She is part of the western province sports team for field events such as shot put, discus, javelin and this year she is once again going to National games. 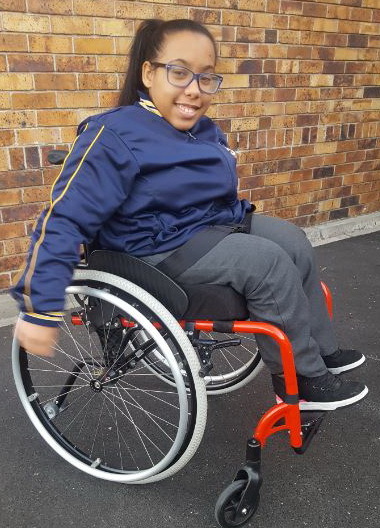 With the help of our Cape Town Cycle Tour riders we were able to fund Zena’s new wheelchair. With such dedication we see Zena going far!